Through collaborative projects with leading marine conservation charity The Shark Trust, our students are developing relevant, real-life, transferable skills which are being practiced and honed in a variety of public engagement settings including with the National Marine Aquarium. 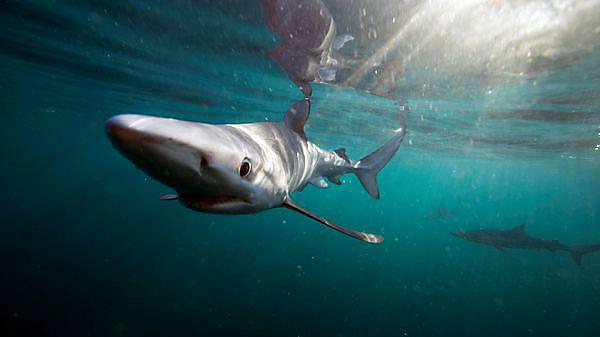 The Shark Trust was established in 1997 to provide a voice for sharks in the UK. The charity is a well-respected advocate for shark management and protection, part of a global collaborative movement in shark conservation. Its vision is a future where sharks, skates and rays thrive within a globally healthy marine ecosystem. Our students are trained as shark ambassadors to inspire, inform and motivate public audiences to support shark and marine conservation, acquiring valuable lifelong skills supporting their future careers. Delivered in partnership with Crew Training and supported by Santander Universities, the scheme builds confidence in audience engagement, effective presentation and persuasive communication.